My daughter is growing into leadership – as an acolyte. We arrive early, when no one is in the nave save for a few choir members lost in song, and she heads back into the little room filled with robes, crucifixes and all manor of sacred objects. In the beginning she needed my help doing up all the buttons on her cassock, the long black robe that snap from the throat to down past her knees. But repetition has made it easier for her; and getting prepared to acolyte with the older kids, the deacon and the priest makes her feel grown up and important. I’ve decided my best place is to watch. My daughter started acolyting in our church during Holy Week this year. Another child was sick and we happened to be around as a last minute replacement. I remember my daughter was nervous and shy—“everyone will be looking at me,” she fretted. And a funny thing happened between the procession and the recession; the nervous little girls who participated in their first service became more confident as the liturgy went on—exchanging glances and smiles under candles, reciting The Lord’s Prayer with a sudden seriousness—and by the end of it they were walking a lot taller and with much more confidence. It’s been my personal experience that people develop a more meaningful faith when they are free to explore it on their own. 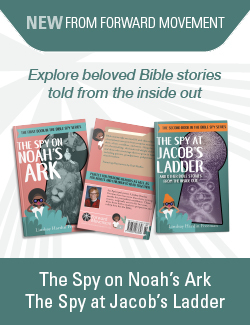 I feel that my job as a mother is to bring my children to a faith I find beautiful and meaningful, but I know it will be their task to explore and hopefully, fall in love. There’s no true faith that can be forced. And along that same vein, letting go of my child’s hand to let her take part in the liturgy apart from me is a little nerve-wracking, but also so beautiful to see. Her experience as part of the liturgy is worth more than I could ever say or explain to her. And it gives her a feeling of real belonging and real importance to step forward in her own reverent role; to kneel right before the altar as the priest breaks the bread, to light the candles that illuminate the holy space, to participate in the liturgy not only as a child in the congregation, but as a child of God leading others in worship. Watching her from a few pews away, I am so proud of her. I sneak glances at her just as another face in the crowd, see her serious expression and realize with pleasant surprise that she has been memorizing these prayers and responses when I thought she was just coloring beside me waiting for children’s chapel. It’s an experience for her and me that we both wouldn’t have had if I hadn’t let go and let her step out on her own. It’s my prayer that it’s the first step in a very meaningful faith journey for her—a journey I can watch and guide from the sidelines, but ultimately is hers to explore. I’m so thankful that she has this opportunity at such a young age to participate in this way. And that it doesn’t matter that she’s young or that she’s a girl. All that matters is that she is a child of God. 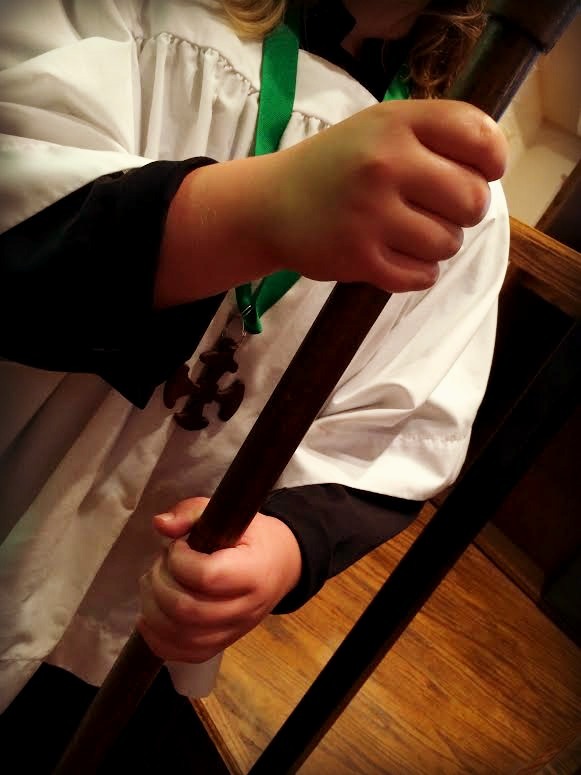 Is your child an acolyte? How has that experience grown you both? Thank you for sharing! Your story emphasizes an important point: The purpose of having acolytes should not be to keep the kids busy, but to genuinely engage them into a meaningful experience with the church and (hopefully) with God. enjoyed this very much ! Our 2 daughters are acolytes, a nephew, niece and God daughter as well When they are all at the altar together it is quite something ! Sometimes it feels like a duty for them, but they are learning and growing as a child of God !